Send your teacher interview thank you letter within 24 hours to show your appreciation for the job interview and to highlight your interest in the teaching job. The follow up letter is also an ideal opportunity to reinforce your suitability for the job opportunity. Research shows that a high percentage of job candidates neglect to send an interview follow up letter. Be the candidate that does write a thank you letter and stand out from the other teaching job applicants. Adapt this sample thank you letter to meet your own needs. Correct spelling and grammar is essential. Ensure you spell the interviewer's name correctly as well as everything else in the thank you letter. Use the most appropriate greeting. Check the status of the interviewer to get this right. Typed thank you letters are more formal while handwritten thank you letters can be more personal. The teacher interview thank you letter format is not as critical as the fact that you have taken the time and made the effort to write a proper thank you note. This will set you apart from the other candidates interviewing for the job opportunity. Thank you very much for the opportunity to interview for the teaching position at Bellview Street School. I enjoyed talking to you and learning more about your school district. I was particularly interested in your focus on active citizenship and the challenge of developing co-operation and respect in the classroom. I would like to help your district achieve this vision by contributing my skills and experience to creating an active community of learners who are well prepared for living and learning in today's world. My experience with young learners at Hennessy School and the time I spent teaching in the Rochester City School District have helped me to develop strong classroom management skills and an appreciation of diversity that will be of particular value in this teaching position. As discussed I have a special interest in the use of technology in the classroom and have taken a number of courses to facilitate this. I would also like to restate my interest in becoming involved in extra-curricular programs. Thank you again for taking the time to interview me today. After our meeting I am even more enthusiastic about this potential opportunity. Please contact me if you have any additional questions. I look forward to speaking with you again soon. 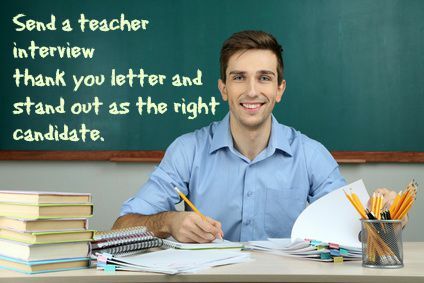 Take the opportunity to send a professional teacher interview thank you letter and increase your chances of securing the teaching job you want. 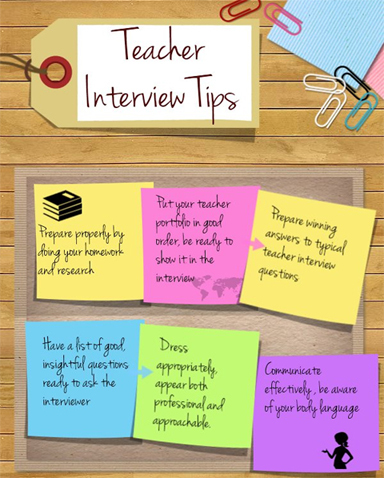 Find out what to do after your teacher interview. Use the information and resources at job interview follow up to help you.